The development of telecommunications and ICT infrastructure is a major challenge for many countries in the Asia-Pacific region. Whilst many APT member countries are making huge efforts to bring telecommunications and ICT facilities to their people at an affordable price, there are many key issues in the areas of policy, technology, applications, resource mobilization, etc., that needed to be addressed for effective deployment. For this purpose, APT organizes an Asia Pacific Telecommunication and ICT Development Forum (ADF) for the policy makers, regulators, and other stakeholders of telecommunication development in the region. ADF was renamed to APT Telecommunication/ICT Development Forum at the 39th Session of the Management Committee of APT (MC-39). The APT has been conducting Meetings on various topics in the field of ICT for the sake of information sharing and coordination of views in the Asia-Pacific region. Topics are selected based on the requests from the APT Members and the request of the host countries. APT Meetings are called “Conference”, “Forum”, “Meeting”, “Workshop”, “Seminar” or “Symposium”, reflecting the purposes of the meetings. Among these meetings, the Asia Pacific Ministerial Meeting on Strengthening Regional collaboration towards Broadband Economy was onsidered as the most important in the sense that it has adopted the “Bali Statement of the Asia-Pacific Ministers on Strengthening Regional Collaboration towards a Broadband Economy in the Asia-Pacific " and Plan of Action" which provided the direction to APT towards enhancing Broadband and ICT Development in the Asia-Pacific region. The “APT Telecommunication/ICT Development Forum” is expected to be held annually to review the activities of the APT in ICT fields and to discuss some hot issues on the development among APT Members. The International Collaborative Research (Category-I Project) is formerly known as “HRD Programme for Exchange of ICT Researchers/Engineers”. The objective of the programme is to promote the exchange of advanced knowledge and technical know-how among ICT researchers/engineers in the Asia-Pacific region through international collaborative research projects on advanced ICT and ICT utilization. This supports a face-to-face interaction and the exchange of new ideas and technical know-how among researchers and engineers in the APT member countries. The criteria have been updated regularly to reflect the rapid technological changes and other circumstances since initiation of the program in 2001. The programme now is being implemented recognizing the importance of human resource development as expressed in the above Asia Pacific Ministerial Meeting on Strengthening Regional collaboration towards Broadband Economy. Recognizing the importance of establishing ICT infrastructure in rural areas as expressed in the “Bangkok Agenda” adopted by the APT Ministerial Conference in 2004, the “ICT Development Programme for Supporting ICT pilot Projects in Rural Areas” was initiated in 2005 with the objective of narrowing the digital divide in the Asia-Pacific region by promoting and establishing pilot projects. Various projects have been established to ensure the access to ICT in rural areas of APT Members and to facilitate development of ICT infrastructures/services in the region. The example of subject fields of the pilot projects are construction of multi-purpose telecenters in rural areas, introduction of new wireless technologies systems in rural areas, and other topics for contributing to ICT development in rural areas employing emerging technologies. From the year 2016, this programme will be referred as “ICT Pilot Projects for Rural Areas (Category-II Project)”. ICT application are key elements for the socio-economic development of the Asia-Pacific region and it encourages APT Members to promote ICT applications. In this regards, APT has its mission in promoting ICT applications to support solving economic ans social issues such as increasing efficiency, improving productivity and bridging digital divide in each Member country. To implement this mission, "Project to Facilitate ICT Application in the Asia-Pacific" was initiated in 2015. This programme, funded by the Extra Budgetary Contribution from Japan, supports publishing activities about ICT Policy and Development at the APT Secretariat for the APT Member countries especially about issues that cannot be solved by a single country, namely disaster management, global warming, energy, medical care, cyber-security and so forth. In order to help the Member countries tackle regional challenges in the ICT field, and also increase awareness of the Members on the APT activities for ICT Policy and Development in the region, the outcome may be adopted as APT’s Reports, Guidelines, etc. with necessary amendments in the Work Programmes, and will be distributed to Members widely. APT Telecommunication/ICT Development Forum (ADF) is part of APT’s continuous effort of its Asia-Pacific Initiatives for the Information Society (AIIS) Programme which focused on assisting members in bridging of the digital divide. This has become important amid the rapid changes of technology, fast changing telecommunications scenarios and tremendous growth of ICT sector. 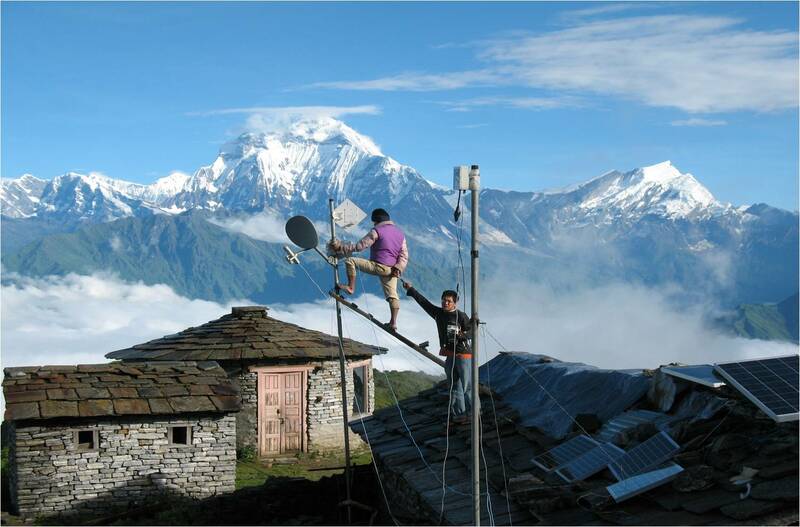 The ADF is a platform that provides an opportunity to identify the specific issues that hinder the development of the telecommunication networks in rural areas and to discuss the appropriate use of new technologies available for rural telecom development. In June 2004, the first ADF was held in Bangkok, Thailand. The event became a platform in finalizing the draft text of Bangkok Agenda that was submitted to the Ministerial Conference on Broadband and ICT Development that was held in July 2004. The ADF is also linked to the achievement in the International Collaborative Research and the ICT Pilot Projects for Rural Areas funded by the Extra-Budgetary Contribution from Japan. The results of both programmes were also reported in the ADF allotted session for the sharing the fruitful results and research findings under the close co-operation of the local collaborators and Japanese Experts in the APT Member states from the various fields of telecommunication and ICT development. The ADF was renamed from Asia-Pacific Telecommunication and ICT Development Forum to APT Telecommunication/ICT Development Forum in 2016 at the 39th Session of the Management Committee of APT (MC-39). Since the effects of ICT prevails not only to telecommunication fields but also to a variety of other fields, it is vital for APT to cooperate with other regional and international organizations to accomplish its goals: to foster the development of Telecommunications Services and Information Infrastructure in the Asia-Pacific region.